I was in my car yesterday listening to C-SPAN (yes, I do that sometimes), when to my stunned surprise I heard Congressman Dan Burton launch into a diatribe on how mercury in vaccines causes autism. No, this was not a replay of a recording from a decade ago. The hearing was held just a few days ago by the Committee on Oversight and Government Reform. Congressman Burton used this hearing to rehash a series of some of the most thoroughly discredited anti-vaccine positions of the past decade. Burton is a firm believer in the myth that vaccines cause autism, and he arrogantly holds the position that he knows the truth better than the thousands of scientists who have spent much of the past decade doing real science that proves him wrong. In a classic political move, the committee called on scientists Alan Guttmacher from the NIH and Colleen Boyle from the CDC to testify, but in fact the committee just wanted to bully the scientists. Committee members lectured the scientists, throwing out bad science claims, often disguised as questions, thick and fast. Alas, Guttmacher and Boyle weren't prepared for this kind of rapid-fire assault by pseudoscience. “I’m convinced that the mercury in vaccinations is a contributing factor to neurological diseases such as autism." Bang bang, two false claims in 10 seconds. First he claims that mercury from vaccines "accumulates in the brain", a statement with no scientific support at all. Then he claims that chelation therapy is the solution - a radical, potentially very harmful treatment that no sensible parent would ever force on their child. Unfortunately, some quack doctors have experimented with chelation therapy on autistic children, despite that fact that it can cause deadly liver and kidney damage, and one of them caused the death of a 5-year-old boy in 2005. Burton also claimed that single-shot vials would "eliminate the possibilty of neurological damage from vaccines" - a claim that was invented out of thin air by the discredited anti-vax doctor Andrew Wakefield, whose fraudulent 1998 study was the spark that started the current wave of anti-vax hysteria. "I wonder if the CDC has conducted or facilitated a study comparing vaccinated children with unvaccinated children yet - have you done that?" Dr. Boyle: “We have not studied vaccinated versus unvaccinated." Posey: “Never mind. Stop there. That was the meaning of my question. You wasted two minutes of my time." Congressman Posey, only an extremely unethical scientist would consider conducting such a study. To compare vaccinated versus unvaccinated children in the manner you suggest, one would have to withhold vaccines from young children. We know from decades of evidence, involving tens of millions of children, that vaccines save lives. Few if any medical interventions are more effective than vaccines. But Congressman, the scientific community has done observational studies of vaccinated versus unvaccinated children, comparing autism rates in children whose parents chose not to vaccinate. Those studies show that autism rates were slightly higher in unvaccinated children. That's right, vaccinated children had autism at a lower rate. So no, Congressman Posey, the CDC hasn't done a study of vaccinated versus unvaccinated children. Only a corrupt dictatorship could impose a study like that on its people. Is that what you want? To make matters worse, the House committee invited Mark Blaxill to testify. Blaxill is a well-known anti-vaccine activist whose organization, SafeMinds, seems to revolve around the bogus claim that mercury in vaccines causes autism. His organization urges parents not to vaccinate their children, and giving him such a prominent platform only serves to spread misinformation among parents of young children. "For a long time, reported U.S. autism rates were low, estimated at about 1 in 10,000. Then around 1990 something new and terrible happened to a generation of children. Autism rates didn’t just rise, they multiplied," claimed Blaxill in his written testimony. His entire argument builds on this. Yet multiple studies, looking carefully and objectively at the data, indicate that all or nearly all of the rise in autism cases is due to increasing diagnoses, which in turn is due to multiple factors: a dramatically broading of the definition of autism in the early 1990s, a greater awareness of the condition, and a greater willingness of doctors and parents to accept the diagnosis. For an objective summary of the evidence, see the articles by neurologist Steven Novella here and here, which summarize a dozen epidemiological studies. The weight of the evidence shows that the actual incidence of autism is either stable or possibly rising very slowly. There is no "autism epidemic." It's also worth pointing out that Blaxill is a conspiracy theorist who claims that the "CDC has actively covered up the evidence surrounding autism’s environmental causes." Congress has every right to conduct oversight into medical research at the NIH and the CDC. But when Dan Burton, Bob Posey, and others decide in advance what the science says, and abuse their power to demand "answers" that validate their badly mistaken beliefs, people can be harmed. Over the past decade, the anti-vaccine movement has successfully convinced millions of parents to leave their kids unvaccinated, and the result has been serious outbreaks of whooping cough, haemophilus, measles, chicken pox, and mumps around the U.S. and Europe. Some anti-vax parents claim that these childhood illnesses aren't so bad. I wish they would talk to the parents of young children who have died in recent whooping cough outbreaks. These illnesses can be deadly. Message to Congress: science isn't easy, and autism is complicated. Don't criticize science when it doesn't give you the answer you thought you knew. That's not how science works. Thousands of scientists are now trying to identify the causes of autism, and they've made progress, especially on the genetic front. The answer might not be simple, but we will find it. Mercury is out of the vaccines now anyway. Now we should be talking about aluminum and other adjuvants. 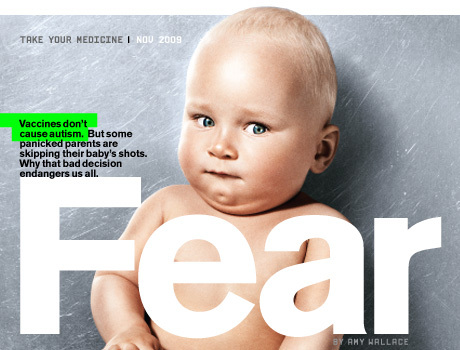 We should not characterize parents as fearful or panicked. They are making rational decisions based on the past behaviors of drug companies and government agencies. The vaccine makers are insulated from competitive pressure, so they need some pushback to encourage them to improve their products, and to eventually move to a protocol of titer testing for immunity in lieu of multiple boosters. The amount of aluminum in vaccines is insignificant when compared to that, for example, in breast milk or baby formulas. It is far below the level that has been determined to be unsafe, even if consumed on a daily basis. If you eliminate the adjuvants in vaccines, more boosters will be needed to maintain high titers because adjuvants release antigens slowly, thus facilitating a higher, more prolonged and effective immune response. Furthermore, the vacccine schedule has been developed BY testing titers, and determing when they start to wane. At this point, boosters are recomended. Why should we go to a more expensive system where parents pay for titer tests and vaccines when this information is already known?Parents may think they're acting rationally, but when they choose not to vaccinate based on false or flawed information, the net result is the same--danger to their own children and to the "herd" that is losing immunity based on their irresponsible decisions. Mercury may be out of the vaccines (but aren't those vaccines now offered up to third world babies?) However, what is not getting much mention is that formaldehyde has taken the place of the mercury. When organic chemists look at the toxicity of chemicals, they usually list the following: mercury, benzene, MTBE and formaldehyde as top concerns. So by replacing the mercury with formaldehyde, the "scientific community" of Big Pharmaceuticals are ensuring that the public will continue to have the same health problems that were in existence before. That way all the liability for all the previous generations of children harmed by the mercury/Thimerosal vaccines will be avoided. The formaldehyde ploy is one of the favorite tactics of the anti-vaccine activists, as Carol Sterritt illustrates here. There has never been a whit of evidence that formadehyde causes autism. The amount of it in vaccines (in any case) is far, far less than what you are exposed to in the environment every day. Your body makes formaldehyde, it's in all kinds of environmental products, and in tiny amounts it is harmless. The logical fallacy - illustrated time and again by anti-vaxxers - is that science must prove a negative, which is generally impossible. You can't prove that "X doesn't cause Y" - which is why we first need some kind of evidence (not anecdotes) that "X causes Y". Then we can look at the evidence and see if it is valid. We've looked at the vaccines-autism evidence over and over again, and it just isn't there. There is no link. THus there is no reason to look at ingredients in vaccines to explain anything, because there is nothing to explain. I have to say that looking up the affiliation of Burton and Posey (neither of whom I had heard of before), I was at least somewhat relieved to discover that they are both Republicans. I was worried that they might not be because anti-vax hysteria has a certain popularity among the Huffington Post crowd. Why would you be relieved to discover an ignorant person's political affiliation? Is being wrong on your side "less wrong" than being wrong on the other side? On the contrary, my point is exactly the opposite - I find anti-science Democrats (my side) to be "more wrong" That's because I'd have to choose between science and progressivism in giving such people support. The relief comes from not having to make a conflicted choice. Yes, ideally we would live in a world where no politicians on either side are anti-science, but that's clearly not the case at the current time. Jonathan B: in general, anti-vax sentiment tends to cluster in liberal enclaves. However it is definitely not a partisan issue in the U.S., which is why I didn't mention Burton or Posey's party affiliation - it doesn't matter what party they are in. What matters is that they are abusing their power as Congressmen to spread misinformation, to support bad science, and possibly even to suppress good science (as may happen when they browbeat senior government scientists whom they call on the carpet). These men are reprehensible, and need to be removed from their positions. Politicians such as these, who refuse to differentiate between quackery and legitimate science while using their public status as a platform to spread the lies, are one of the biggest current threats to our society. There's a reason the US enjoys as much freedom as it does, and part of that reason is that we maintain a level of health and well being that is, in part, the result of not spending our childhoods fighting preventable infectious diseases. The health of a nation is directly related to the freedom that nation enjoys. In regards to the party affiliation of the anti-vac congressman, I think that there is correlation between the likelihood of a congressman wanting to legislate something based on a pseudo-science claim and party affiliation. But (and it is a big but), I find that democrats (as a group) are much more likely to try to use government to fix something whereas republicans (as a group) are more likely to encourage government in-action (uh, for example, saying softly, things like gun control, not wanting to hijack this thread). This is not saying that either party is more fuzzy headed than the other, just that one party is more likely to use legislation to solve a perceived problem. In Dan Burton's case (and he is my congressman), he has an autistic grandson, and obviously thinks that something caused his grandson's autism. I feel sorry about his grandson's condition, but this is the motivation for Congressman Burton's belief that autism is caused by vaccines. This does not make Dan Burton reprehensible, but merely someone who is wrong about a topic. He also is retiring from Congress, so his influence on this topic will be diminished. For many of us, who watched as Big Industry's funding become a lead factor in determining whether a "scientific study" has to respond to vested interests, it's a relief to think maybe Congress will start being involved in the struggle for REAL science. Often, Mainstream media touts one study or another as "proof" that there's no link between vaccinations & autism & other illnesses. But I question "modern day science". For instance, looking at very recent activity on the "proof of vaccines being harmless" claims, there have been two other "studies" in the last 3 years that "prove" that there is no MMR-Autism link. Here's what I know about that: the first study took a set of data, in which children had experienced the MMR vaccine, with Thimerosal, with mercury, as its preservative, vs data wherein the children had experienced a vaccine that had NO Thimerosal, but formaldehyde was in its place. MMR vaccines! Well, of course, there is little difference, one extremely toxic preservative was substituted for the other! And this is what passes as science here in the USA. So the study is so flawed that were our citizenry educated, we would be laughing this study off the pages of "peer reviewed" journals. From years of involvement with studying MTBE, the gas additive, that mercury, benzene, MTBE, and then formaldehyde were considered the top four substances most toxic to the immune systems, & neurological systems of humans. How is it that researchers missed the point that formaldehyde, when compared to mercury, is of similar harm to a human being, & they were content to do this study using these parameters? The 2nd study that has been touted by news media as yet another "proof" that MMR vaccines don't cause autism was even worse than the first. In this "study," researchers simply took a data base of studies regarding MMR vaccines and autism, counted up how many showed a connection, and how many didn't, & then stated that since there were fewer studies showing that the MMR vaccine was a problem than the number of studies showing that the MMR vaccine was not a problem, well, then, there is NO problem with MMR vaccine. was so safe your kids could brush their teeth with it, compared with only TWO studies that showed it was harmful. decision - within six months, he was being recalled, with that recall effort being sponsored by Big Oil money. But his decency means so many of us escaped leukemia, serious neural and brain stem cancers, asthma, MS and other illnesses. Oh and BTW, even after the ban of MTBE, the newspapers And TV Talking Heads continued to say that MTBE was not a hazard - as they are bought & paid for by ads from Big Oil as well as ads for Big Pharmaceuticals. Hopefully someone in Congress will someday demonstrate the courage that Gov Davis possessed, & see to it that we get truly indie researchers, so that we get truth & not folderol!